WHAT IF YOUR CAMERAS COULD TALK? Data, Where You Need It. What we do is Our Passion: Make it simple and affordable for Houston & Austin Businesses and Homeowners to enjoy the benefits of Security, Connectivity, Audio/Video and Automation. From the very start, we have set out to build a different kind of company: one that prides itself on a relentless commitment to customer service. We are constantly on the lookout for the latest products that will directly benefit our most important asset - Our Customer. We offer cutting edge solutions from the most respected names in the business. We stand behind every product we sell and our promise and mission is complete customer satisfaction. Secure your property. Control access to it. Not only do advanced security cameras function as great deterrents to anyone trying to break into your home or business, but they will aid law enforcement in identifying and arresting those responsible for the crime. EOS Digital Services offers some of the most cost effective IP cameras on the market, and together with advanced access control systems, will show you how to gain total control of your assets. Computer and network issues? Need new hardware? Help is just a phone call away. We can help with all your computer and networking needs. From Wired and Wireless network setup to Anti-Virus and Data Backup solutions, EOS Digital Services has the resources and expertise necessary to get the job done. Enjoy audio and video the way it's meant to be. We've researched the best in audio-visual components and combine them in your space to provide the ultimate home theater experience that is beautiful to look at and simple to control. We deliver affordable, reliable and easy to use wireless solutions that bring voice, video, and data to all corners of your home, hotel, business, or community. EOS Digital Services specializes in automation systems for residential, commercial, and office environments. We offer cutting edge solutions that integrate and automate Lighting, Access, Climate Control, Audio/Video and Security Devices. When it comes to your security and protecting your assets, nothing is more important than having the right surveillance cameras in place. A properly installed camera system acts as a most cost effective deterrent to criminals, enables you to see in real-time who is on your property, and even lets you communicate with whoever is on your property and give them access if needed. EOS Digital has partnered with the most respected names in the industry to bring you cutting edge surveillance solutions such as 360° multi-megapixel cameras with 2-way built-in audio and extensive artificial intelligence capabilities, as well as thermal cameras for perimeter protection and process monitoring. We will not waste your money on a camera system that is unable to capture the necessary detail required to get the evidence you need. We therefore only install high-definition IP megapixel systems that have a proven track record in the field. We've partnered with Brivo, a leader in cloud based physical access control, to enable businesses to monitor, manage and control their facilities in real-time from anywhere. Our customers use Brivo to secure their buildings inexpensively with minimal hardware and only an internet connection. You don’t have to cover the high costs of deploying or managing IT infrastructure or software, we deliver that through the cloud. We offer complete security and access solutions for applications as diverse as retail, energy, education, healthcare, municipal, and residential. Some of our outstanding security partners include 2N, Axis, Bosch, Brivo, Canon, Hanwha Techwin, Milestone, Mobotix, ISS, and Wavestore. What If Your Camera Could Talk? With Mobotix, less really is MORE. Not just a camera. It's a complete, all-in-one solution. With its innovative German technology, one Mobotix IP Camera can typically replace 4 standard cameras, and the built-in, decentralized storage system that Mobotix has perfected means less cabling, software and storage to worry about. Most home and business owners who see a Mobotix video feed will never go back to a standard CCTV camera. The image quality is outstanding. Features such as built-in VOIP, 2-way audio, and a variety of sensors such as temp, PIR and sound make a Mobotix camera an unbeatable tool in your security arsenal. With its sophisticated artificial intelligence engine, you can have the camera play an audio file to a trespasser who walks in a certain direction around your property, or sound an alarm (or call you) if a car exits a garage. The new Mobotix thermal sensors can visualize heat radiating from vehicles and persons, for the purpose of accurate movement detection up to 400 meters away from the camera, even under the most challenging lighting and environmental conditions. EOS Digital Services has completed several Mobotix projects in the Houston area and has developed great expertise in setup and configuration of these amazingly versatile cameras. The Mobotix T25 Video Door Station not only provides you with high resolution images, it can also play automated audio messages as someone approaches your property, adding an extra layer of deterrence against unwanted visitors. Together with our custom-built notification app for Mobotix, EOS Alert, you'll always know when someone is on your property. EOS Digital Services has installed hundreds of these cameras throughout Houston and has developed great expertise in customizing them to suit our customers' needs. Our customers rely on EOS Alert for instant notifications on their mobile devices when a pre-defined activity is detected by a Mobotix camera. With built-in custom audio alerts, you will instantly know when a person is by your front door, ringing your doorbell, or snooping around your driveway. Event images are instantly delivered with each notification and live video feeds from each camera are a click away. EOS Alert is available for iOS and Android. Mobotix has perfectly combined thermal and optical sensor technology with an intelligent onboard video sensor “MxActivitySensor“ to detect objects and persons in complete darkness over hundreds of meters automatically. Recently, Mobotix provided a software update free of charge to upgrade existing thermal cameras with thermal spot metering in the image center. This allows absolute temperature measurement within the total range of -40°C to +550°C and a typical accuracy of ±10°C. Enabling easy-to-manage building access control to unite your facilities, secure your assets, and protect your people. EOS Digital Services is an Authorized Brivo Dealer. With Brivo Mobile Pass you can open doors with your smartphone, eliminating the need for physical cards and readers. Our cloud-based mobile credential system allows you to distribute mobile credentials and unlock doors with ease. Contact us for a free quote. We'll setup your system just the way you need it, complete with new IP phone hardware and minimal upfront cost. Universal broadband connectivity these days is as essential as the air we breath. Delivering reliable wireless internet and network access to a remote corner of a home, a school, or a community used to be a daunting and expensive task. With innovative wireless solutions by Ubiquiti, Meraki, and Ruckus, that is no longer the case. Ubiquiti's UniFi offers a centrally managed software platform to control all your wireless access points at multiple sites, delivering all connectivity information in an intuitive user interface. UniFi Access Points feature the latest in WiFi 802.11ac technology, capable of gigabit speeds and ranges up to 400ft. Now featuring an integrated high-quality speaker, the AC-EDU access point is ideal as a campus public address system and lets you make announcements from a smart phone. Build your wireless networks as small or big as you need. Start with one, expand to thousands. CradlePoint's 4G/LTE routers deliver broadband internet connectivity to any location served by a cell network, ensuring your business is connected even when the wires aren't. Whether you're a homeowner, hotel operator, school district or industrial plant operator, EOS Digital Services will offer you a customized solution that delivers universal broadband connectivity anywhere you need it. You can breath easy, EOS Digital can help. Take your office communications to the next level and save money doing it. Help your teams move faster with exceptional audio quality and built-in flexibility. Our open standards approach to desk phones delivers best-of-breed results and makes collaboration effortless. Get a first-class phone experience with enterprise-grade audio, video, and applications support with robust interoperability. Our best-of-breed VoIP partners include Epygi, Polycom, SoTel, Snom and Yealink. Nothing can be more frustrating than a poor wireless signal, or worse yet, no signal at all. Together with our networking hardware partners, we will solve your network connection issues and bring HD video streaming and multimedia content to your TV's and connected devices, no matter where they are. Contact us to find out how we can deliver data where you need it. From backpacks to smartphones, LiveU offers a complete range of devices for live video coverage. LiveU’s solutions include multiple 4G LTE/3G, HSPA+, WiMAX and Wi-Fi cellular links, which are optimized for maximum video quality based on the available network conditions. LiveU developed and patented the technology for cellular bonding for remote news gathering in the US and other countries. All LiveU products are based on this fourth-generation patented technology. EOS Digital Services is an Authorized LiveU Dealer in Houston. You have a business to run. Let EOS worry about the rest. With a complete offering of NAS solutions featuring efficient and easy data management, Synology brings together the accessibility of public cloud and the security which private cloud possesses to form a hybrid cloud solution with a web-based platform. From affordable personal and home office to large scale business solutions supporting virtual environments, Synology has become synonymous with high performance data storage and reliable onsite and offsite backup solutions. Building on its extensive expertise in data storage and management, Synology has developed a video surveillance solution that is purpose-built for ease of multi-channel viewing. Compatible with 50 brands of IP Cameras, Synology makes surveillance live-view and playback simple and affordable. EOS Digital Services is a Synology Certified Partner and can show you how to personalize your cloud with the most advanced and innovative data storage solutions available on the market. From basic living room setups to luxury home theaters and conference rooms featuring automated lighting, customized seating, stunning sound absorbing panels and immersive audio, we create environments that best reflect your taste and accommodate your budget. At EOS Digital, we love simplicity, and when we first experienced the Sonos Music System, we knew this was simplicity at its best. Setup is easy. Sound quality is top notch. The interface is intuitive. You can have Sonos connect to your existing audio system and have it stream all the music on earth, or connect a standalone player that can be up and running in less than 5 minutes. Sonos components create their own wireless network, so every component you add actually expands your Sonos capabilities. Play a different song in every room, or play the same song in every room, Sonos lets you control it all from any network connected device. We can pair Sonos with some of the best sounding in-ceiling and in-wall speakers by Origin Acoustics, as well as transform your outdoor environment into a music lover's dream. Add a new dimension of audio to your flat screen TV with the Sonos Playbar for richly textured HiFi sound. Sonos now has a full line of streaming audio devices, from the portable Play:1, the versatile Play:3 and the all-new Play:5 All-In-One wireless speakers, to the stylish and powerful Playbar and wireless Sub. Contact us today to learn how we can bring the Sonos revolution to your home or business. EOS Digital Services is a Houston-based Authorized Sonos Gold Dealer and Installer. Only Origin Acoustics provides you with the ability to personalize your listening experience in any room. Our speakers have no boundaries and are adaptable to all environments spanning from indoor home theaters and kitchens to outdoor landscapes. Our patented technologies are the culmination of over 100 years in combined experience in providing sound that is directable with wider dispersion and enchanting musical accuracy, all while remaining hidden from plain sight. Just recently, Origin Acoustics and Bang & Olufsen have teamed up once again with their shared philosophy of design and engineering performance to deliver the most sonically impressive architectural loudspeakers with Bang & Olufsen’s distinctive look of understated luxury. EOS Digital Services is an Authorized Origin Acoustics Dealer and Installer and can customize your listening experience with Origin's wide array of speakers, amplifiers, and accessories. EOS Digital Services is an Authorized Artcoustic Dealer and Installer. The new ELAN 8 – with enhanced interface, powerful new user managed features and voice control through Amazon Alexa – was recognized at CES 2017 with the “2017 Human Interface Product of the Year” award from the Consumer Technology Association’s Mark of Excellence Award Program Committee. 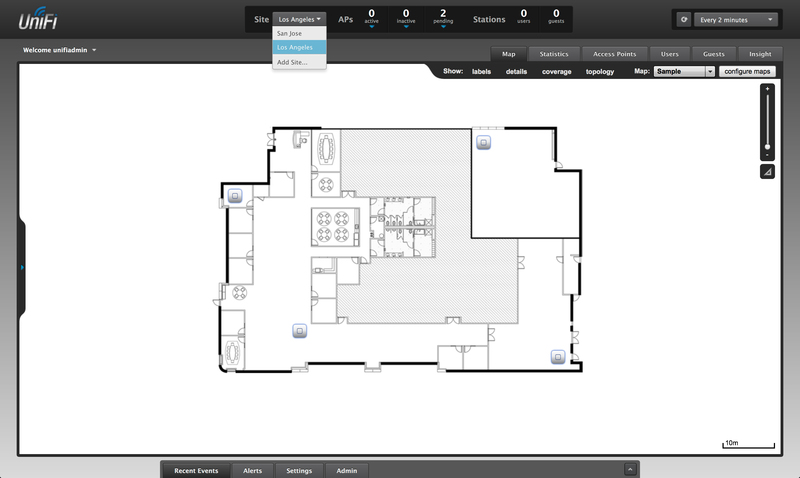 The ELAN 8 software eliminates the need to have multiple apps and control switches for managing lighting, security, audio, video and other aspects of the connected home. All these components can now be controlled by the intuitive ELAN system. Contact us for a free consultation. QMotion goes beyond industry standards to reach new heights in innovation. QMotion's shading systems are designed with both form and function in mind. At QMotion, it's more than just developing a window solution, it is about a lifestyle solution. QMotion is the only automated window treatment company in the market offering a patented manual override feature, allowing shades to be operated by hand, remote or a smart device - an industry exclusive. Our automated roller shades are designed with a built-in safety stop braking system so they do not pass over the top when rising. The benefit of this is both protection of the motorized shade as well as protection of your walls and windows. Our roller shade bracketing is slim and unobtrusive. This makes our motorized systems more attractive, but also reduces the side light gaps to a minimum of 1/2" on each side. The smallest in the industry. Design and decorative options abound in each motorized and non-motorized shade collection. QMotion's window fashions offer a wide range of colors that are as functional as they are stylish. And, of course, we believe that silence is among the greatest of QMotion's strengths. Listen for yourself and see the QMotion difference. EOS Digital Services is a Houston based Authorized QMotion Dealer. Most people leave the house at one temperature and forget to change it. So the Nest Learning Thermostat learns your schedule, programs itself and can be controlled from your phone. Teach it well and the Nest Thermostat can lower your heating and cooling bills up to 20%. Now offering the latest 3rd gen Nest Thermostat, featuring a slimmer look and sharper display. Ecobee is a smart thermostat with a striking design and comes with remote sensors that you can put in every room of your house. Each one tracks temperature and motion, so that the system can adjust for what room you're in, instead of simply sensing where the thermostat is installed. Control your audio and video sources from one easy to use interface. Send an audio or video stream to one room or multiple rooms with the press of a button. We make it all possible with the latest products, carefully chosen to suit your budget and meet your expectations for performance and ease of use. The German company MOBOTIX is known as the leading pioneer in network camera technology and its decentralized concept has made high-resolution video systems cost efficient. EOS Digital Services is a Houston-based Advanced Mobotix Partner. Agent Video Intelligence (Agent Vi) is a leading provider of open architecture, video analytics software deployed in a variety of security, safety and business intelligence applications worldwide. EOS Digital Services is an Agent Vi Authorized Channel Partner. Axis was the first company in the world to launch a network camera in 1996, thereby initiating the shift from analog to digital technology. Today Axis offers the market’s broadest product portfolio of network cameras, video encoders, software and accessories, and provides a unique global service to end customers in connection with installation and use of the products. EOS Digital Services is an Axis Authorized Partner. As a leading manufacturer in the security industry, Hanwha offers video surveillance products including IP cameras, storage devices and management software founded on world-class optical design, manufacturing and image processing technologies. We offer end-to-end security solutions and have achieved global success across a wide range of industry verticals including retail, transportation, education, banking, healthcare, hospitality and airports. Hanwha’s recently introduced Wisenet line of innovative security products demonstrates the value, technology and commitment we bring to market including 12MP cameras, intelligent video analytics and H.265 support. EOS Digital Services is an Authorized Hanwha Partner. EOS Digital Services is an ISS Authorized Partner. Milestone Systems is a global industry leader in open platform IP video management software. Milestone technology is easy to manage, reliable and proven in thousands of customer installations, providing flexible choices in network hardware and integrations with other systems. Milestone solutions help organizations to manage risks, protect people and assets, optimize processes and reduce costs. Raytec are world leaders in LED lighting, offering a complete range of Infra-Red and White-Light LED illuminators for CCTV and Safety Critical applications. All Raytec illuminators are designed and manufactured in the UK and deliver outstanding performance together with low costs of ownership and maintenance. Combined with powerful IP video cameras from Mobotix with 2 way audio, Raytec LED lights are part of a complete solution offering active deterrence. Video Insight is a member of the Panasonic Group and a leading IP video surveillance management software used by over 25,000 customers in the financial, government, retail, and transportation sectors with a very strong presence in the education market consisting of 5,000 K-12 school/college customers. Video Insight is the easiest and most cost-effective Enterprise VMS with support for over 3,000 camera models and integration with the top access control solutions in the market. EOS Digital Services is a Certified Video Insight Partner. WavestoreUSA is a world class innovator in open platform digital video storage and management systems for security, surveillance and business optimization. The company’s robust ONVIF Profile S Conformant IP network and hybrid video storage and management systems set the standard for quality, service and performance. The entire suite of WavestoreUSA technologies delivers powerful capabilities in an easy-to-manage, scalable and reliable platform. Customers across the globe benefit from best-in-class, intelligent and integrated IP video surveillance solutions that reduce upfront and long-term costs. EOS Digital Services is a Certified WavestoreUSA Partner. Easily deployed, reliable, high-performance Cisco Meraki wireless APs, switches, and security appliances, all centrally managed from the cloud. Scales from small sites to million-user deployments with no controller hardware or management software to install and maintain. EOS Digital Services is an Authorized Cisco Meraki Partner in the Greater Houston area. Founded in 1990, Comtrend is a leading designer and manufacturer of broadband communication equipment. From 2010 to the present day, Comtrend has continually grown its product lineup, bringing broadband beyond the gateway. Residential and business users seeking easier ways to extend their networks, whether wirelessly or through a hard-wire connection, now have Comtrend traversing power and phone lines, cable, and wireless. CradlePoint is the leading provider of 4G/3G network router solutions providing business-grade, secure connectivity from 4G and 3G networks to distributed enterprise, small business and mobile customers. CradlePoint solutions provide uncompromised mobile broadband performance while delivering proven network system interoperability. CradlePoint’s broad family of high-performance routers are designed for deployment in mission-critical applications that require 24x7 connectivity. With both integrated wireless WAN and non-integrated versions, the solutions are ideal for video surveillance applications in remote areas where no wired internet connection is available. EOS Digital Services is a CradlePoint Partner. D-Link is the global leader in connectivity for home, small business, mid- to large-sized enterprise environments, and service providers. An award-winning designer, developer, and manufacturer, D-Link implements and supports unified network solutions that integrate capabilities in switching, wireless, broadband, storage, IP Surveillance, and cloud-based network management. EOS Digital Services is a D-Link VIP+ Partner. Epygi, a worldwide provider of award-winning IP PBXs and Gateways, was founded with the idea that every company, regardless of their size, should have the opportunity to own the latest in feature-rich and economically-priced VoIP technology. Reliable, secure, easy to install and use, Epygi's products offer your company outstanding benefits and an unparalleled range of features, all at an affordable cost. Grandstream Networks has been connecting the world since 2002 with SIP Unified Communications solutions that allow businesses to be more productive than ever before. Award-winning solutions serve the small and medium business and enterprises markets and have been recognized throughout the world for their quality, reliability and innovation. Grandstream solutions lower communication costs, increase security protection and enhance productivity. Our open standard SIP-based products offer broad interoperability throughout the industry, along with unrivaled features, flexibility and price competitiveness. EOS Digital Services is an Authorized HP Partner. ioSafe is the technology leader of disaster proof hardware. Since 2005, ioSafe patented technology provides unparalleled physical security protection against fire, flood and theft for thousands of homes and businesses. Like an aircraft black box, ioSafe adds physical security and protection to irreplaceable data. EOS Digital Services is an Authorized ioSafe Reseller. EOS Digital Services is a Lenovo Business Partner and offers you their full line of award winning Desktops, Servers, Workstations and Notebooks. Whatever your application, as a Lenovo Business Partner, we can configure a customized solution for your growing IT requirements. We'll work with you to assess your needs, procure the hardware, and install it so that your IT environment is optimized for business. LiveU is the leader in portable live video acquisition, contribution and management solutions. LiveU's award-winning technology enables live video transmission from any location around the world. From backpacks to smartphones, LiveU offers a complete range of devices for live video coverage. EOS Digital Services is an Authorized LiveU Partner in Houston. We have LiveU units available for rent on an hourly or daily basis. Please contact us for more information. NETGEAR is a global networking company that delivers innovative products to consumers, businesses and service providers. EOS Digital Services is an Authorized Netgear Partner in Houston. From the company’s inception, Peplink set out to create the most reliable and easiest-to-use routers. Since then, we have developed multi-WAN VPN bonding (SD-WAN) routers and access points with industry-leading durability, a straightforward and intuitive web interface, and a wide range of features that are difficult to match. QNAP aims to deliver comprehensive offerings of cutting edge network attached storage (NAS) and network video recorder (NVR) solutions featuring ease-of-use, robust operation, large storage capacity, and trustworthy reliability. QNAP integrates technologies and designs to bring forth quality products that effectively improve business efficiency on file sharing, virtualization applications, storage management and surveillance in the business environments, as well as enrich entertainment life for home users with the offering of a fun multimedia center experience. EOS Digital Services is an Authorized QNAP reseller and partner. Ruckus Wireless is a pioneer in the wireless infrastructure market, enabling carriers and enterprises to stay ahead of the exploding demand for high-bandwidth applications and services. The RuckusSmart Wi-Fi technology redefines what’s possible in wireless network performance with flexibility, reliability, and affordability.We call this Pervasive Performance: a combination of innovative features needed to achieve the goal of delivering the most consistent and highest-speed wireless performance possible – anywhere, everywhere, all the time. EOS Digital Services is an Authorized Ruckus Wireless Partner in Houston. Reliable Data Storage - Simplified. Synology provides an affordable way to centralize data storage, simplify data backup, share and sync files across different platforms, and access data on-the-go. Founded in 2000, Synology is dedicated to develop high-performance, reliable, versatile, and environmentally-friendly NAS servers. Synology surveillance solutions offer all-around monitoring options that guarantee maximum protection and ensuing investigations. EOS Digital Services is a Synology Certified Partner. TP-LINK is a global provider of SOHO & SMB networking products and the World's No.1 provider of WLAN products, with products available in over 120 countries to tens of millions customers. Committed to intensive R&D, efficient production and strict quality management, TP-LINK continues to provide award-winning networking products in Wireless, ADSL, Routers, Switches, IP Cameras, Powerline Adapters, Print Servers, Media Converters and Network Adapters for Global end-users. EOS Digital Services is a TP-LINK Partner. TRENDnet is a global provider of award winning networking solutions to small and medium size business and home users. Building networking solutions since 1990, TRENDnet enables users to share broadband access, multimedia content and networked peripherals for true anywhere connectivity. TRENDnet's diverse product line includes Wireless, Fiber, Switch, Gigabit, Voice over Internet Protocol (VoIP), Keyboard/Video/Mouse (KVM), Internet Camera, Print Server, Powerline, Bluetooth, Storage Server, Power over Ethernet (PoE), and Multimedia Accessories. EOS Digital Services is a TRENDnet Partner. Ubiquiti Networks develops high-performance wireless networking technology for service providers, enterprises and anyone looking for a wireless platform with disruptive price-performance characteristics. Ubiquiti hardware has been deployed successfully in thousands of locations and is literally bringing connectivity to the far corners of the earth. EOS Digital Services has implemented several Ubiquiti wireless projects in the Houston area. Untangle was founded in 2003 with the vision of untangling the complexities of technology, initially targeting network security and control for small business, schools and homes. The company’s first product, the Untangle gateway platform, brought together the best open source projects to create a comprehensive network management solution that provided unprecedented functionality via an application model. In 2007, Untangle released the Untangle Gateway Platform under the GPLv2 license, making it the world’s first commercial-grade open source solution for blocking spam, spyware, viruses, adware and unwanted content on the network, providing a free and better alternative to costly, inflexible proprietary appliances. That product continues to be offered as Untangle Next Generation Firewall, which includes both free and paid apps. Untangle grew its product line in 2014 with the addition of Internet Content Control, an enterprise-grade solution for maximizing Internet performance by allowing granular control of every traffic type. Scaling to 10 Gbps and offering centralized management for multi-appliance deployments, IC Control extends Untangle’s reach to just-below-enterprise businesses and large campuses. Today, Untangle’s integrated suite of security software and appliances offer enterprise-grade capabilities and consumer-oriented simplicity. Untangle’s award-winning software is trusted by over 400,000 customers, protecting nearly 5 million people, their computers and networks. EOS Digital Services is a Houston-based Authorized Untangle Partner. EOS Digital Services is a Houston-based WatchGuard Authorized Partner. Western Digital hard drives and solid state drives, marketed under the WD and HGST brands, are everywhere that digital information and content is found: in the cloud, supporting your mobile digital lifestyle; in business and personal computers; in external storage devices; in the digital video recorder in your home; and in sophisticated medical, military, aerospace, automotive, manufacturing and telecommunications systems. EOS Digital Services is an authorized WD Partner. EOS Digital Services is an Authorized Zyxel Partner in Houston. Denmark based Artcoustic make ground breaking, innovative, world-class loudspeakers, constantly pushing the limits of convention and the status quo. Going back to the roots of traditional Danish loudspeaker design, Artcoustic is the first to transform the conventional loudspeaker with a modern look. EOS Digital Services is an Authorized Artcoustic Dealer in Houston. As the #1-selling projector manufacturer worldwide, Epson's projectors have outstanding image quality that enhance communication, inspire collaboration, offer a low total cost of ownership and have excellent reliability and service. EOS Digital Services is an authorized Epson reseller. EOS Digital Services is an authorized Marantz reseller. Created by three industry veterans with decades of experience in design and development of in-wall and in-ceiling speakers, Origin Acoustics is redefining the industry standard of installed sound. EOS Digital Services is an Authorized Origin Acoustics Dealer. Snowsound technology significantly enhances an environment’s acoustics by selectively absorbing the optimal amount of sound at different frequencies and reducing unwanted reverberation. The award-winning panels combine advanced engineering, complex manufacturing, high quality materials and innovative colorful shapes ideally suited for residential and commercial applications. Patented technology functions to achieve optimal sound absorption across low, medium and high frequencies, while the seamless designs render the panels sleek and unobtrusive. The absence of external frames, coupled with the unique characteristics of materials used in manufacturing yields a double sided and extremely thin, light and versatile panel adaptable to any environment. The frameless, double sided design also gives Snowsound panels a completely sound absorbing surface; no other material is present to hinder the sound-absorbency or reflect part of the sound. Streamlined shapes can be configured in many ways, as free-standing or wall and ceiling-mounted to create beautiful customized spaces. EOS Digital Services is an Authorized Snowsound Dealer and Installer. Access your personal music library, favorite streaming music services, and over 100,000 internet radio stations from around the world. The Sonos app lets you find, play, control and explore your music, your way. EOS Digital Services is an Authorized Sonos Dealer and Installer in the Greater Houston Area. With over eight million pixels and enhanced processing, Sony 4K TVs offer intense detail and stunning picture quality. Sit closer to the screen—everything stays sharp and crisp—and recreate an immersive movie theater experience. Sony 4K TVs make everything look better. Movies, shows, photos, content from your smartphone — it’s all upscaled to 4K quality, thanks to Sony cutting edge 4K X-Reality PRO, X-tended Dynamic Range PRO, and TRILUMINOS technologies. EOS Digital Services is an Authorized Sony Dealer in Houston. ELAN delivers smart home control and automation personalized for you – always intuitive and responsive to the way you live. And the new ELAN 8 with voice control makes it easier than ever. Nest has taken the ordinary, unloved products found in every home and business and completely reinvented them through thoughtful design and complex algorithms to deliver products that save energy, increase comfort and save lives while still looking attractive mounted on a wall or ceiling. EOS Digital Services is a Certified Nest Dealer. RTI specializes in control products for automating the operation of audio, video, and environmental management systems such as lighting and HVAC. Offering solutions for residential, commercial and transportation applications, RTI products are uniquely designed with a simplified interface to meet the needs of the end-user. 2N is the largest global manufacturer of IP intercoms, offering innovative solutions for the most demanding applications. From elegantly designed residential units to nearly indestructible intercoms designed for industrial applications, 2N has a solution for nearly any application. EOS Digital Services is a 2N dealer and installer in the Greater Houston area. Brivo’s mission is to provide commercial physical security solutions that are simpler and better than any other technology on the market. To us, that means making the best access control systems in the world at the lowest possible cost for our customers. EOS Digital Services is an Authorized Brivo Dealer in the Greater Houston Area. Eliminating the need for costly control panels, comples wiring and power supplies, Isonas offers a proven access control solution that offers "Pure IP" to the door technology. Isonas access readers have all the intelligence built-in, lowering total cost of ownership and allowing placement flexibility that is unprecedented. EOS Digital Services is an Authorized Isonas reseller and installer. With 132 distribution centers worldwide and 1400 suppliers, Ingram Micro is our technology partner of choice, bringing unmatched resources to our customers, wherever they may be.